Roy Lichtenstein was a pop art painter whose works, in a style derived from comic strips, portray the trivialization of culture endemic in contemporary American life. Using bright, strident colors and techniques borrowed from the printing industry, he ironically incorporates mass-produced emotions and objects into highly sophisticated references to art history. 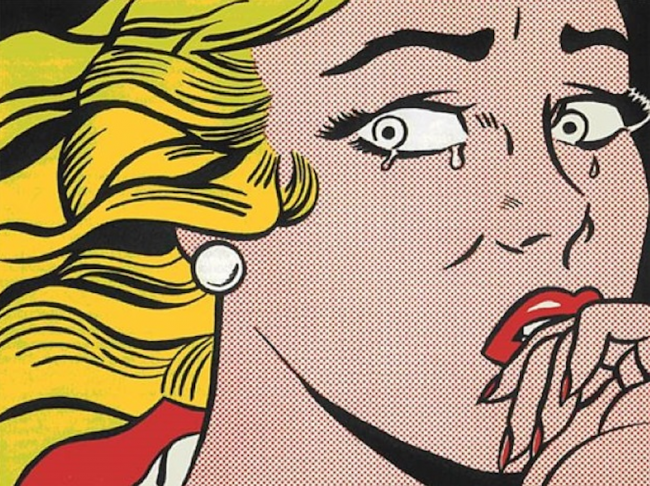 Lichtenstein’s “Crying Girl” goes beyond his desire to create comic-like artworks. Here, he studies the gendered aspects of the female identity. Immediately, the viewer’s focus lays upon the emotions of the subject, as it takes over the painting. She has a sense of stress in both her gaze and physical stance. Lichtenstein sheds light on how there was still a lack of female dominance at this time. She seems almost trapped, similar to the state of many women in America during the 1960’s, as women were fighting for equality. 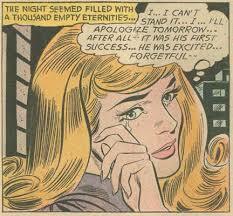 Lichtenstein also highlights the glamorized idealization of an American girl. On the outside she seems beautiful and content, but the emotions in this painting burst out, showing that beneath the perfection she is truly struggling. This image is part of a series Lichtenstein produced in the early sixties, depicting women in love affairs with domineering men, ultimately causing the women to be miserable. “Crying Girl” was inspired by a strip of comics titled “Secret Hearts” that revealed the inside of relationships of that time. 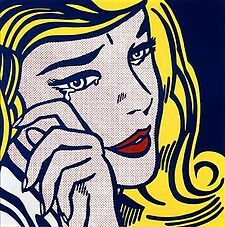 This particular image, as seen above, remains to be one of Lichtenstein’s most iconic creations because it will always mean a lot more than a pretty girl crying. His intention was to share the struggle behind perfection- something we often forget to look for.